All purpose chicken meatballs can be used for many different meals. A great basic recipe to have on hand for easy dinners. It is nice to have go-to recipes on hand so when you are in a pinch and don’t know what to make you pull them out. That is why I love these baked, all purpose chicken meatballs. They can be served with a side of marinara or BBQ sauce or served with pasta or on a sandwich. These are even delicious wrapped up in lettuce. 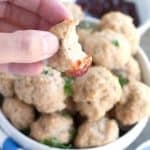 My kids can be picky eaters but these meatballs are one of their favorite things. They like to pick them up and dunk them in ketchup. 🙂 This recipe is great for week night meals because they can be made in 30 minutes. With only a few simple ingredients you can whip these chicken meatballs up in a flash. Start by mixing together Panko bread crumbs and milk. Let sit for a couple of minutes. This helps keep the meatballs really moist. Take the mixture and combine with ground chicken, dried Italian seasonings and salt. Roll into 1 – inch balls and bake for 30 minutes. 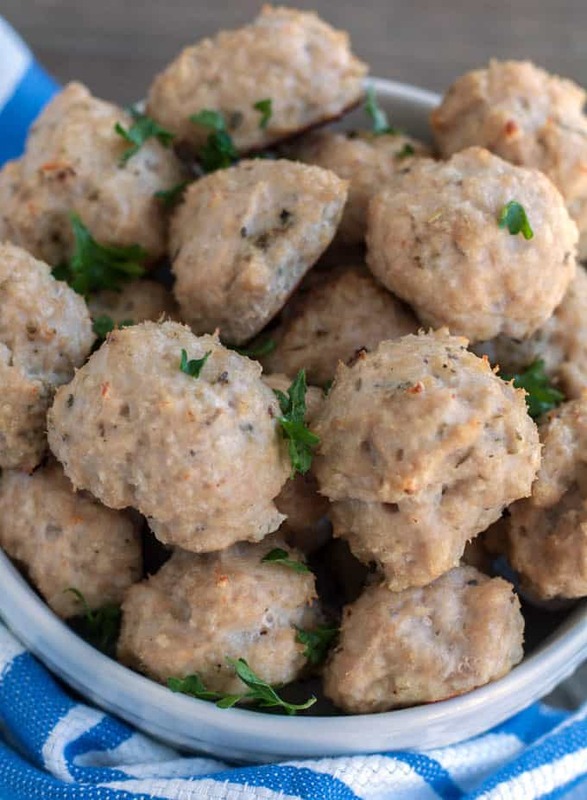 These chicken meatballs can be frozen. 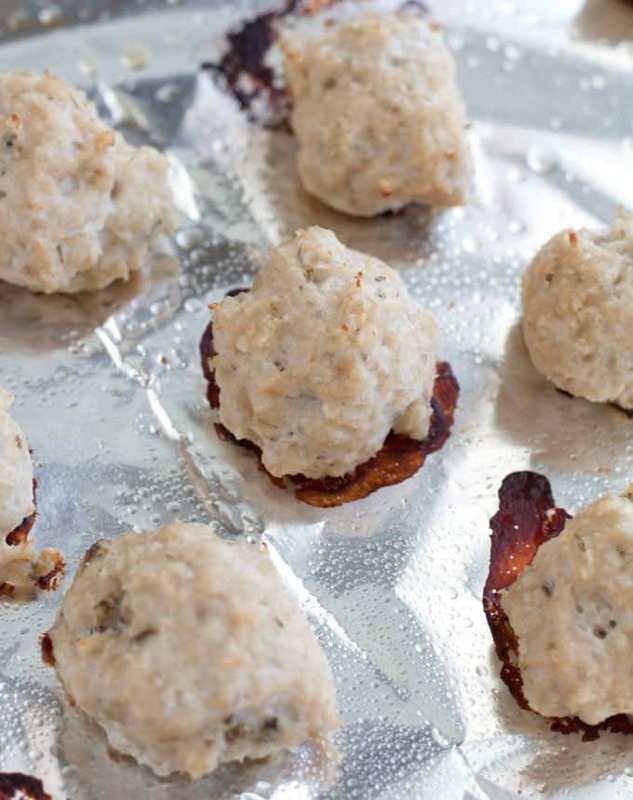 To freeze, place cooked meatballs on a baking sheet in a freezer. Once frozen, place meatballs in freezer bags. To reheat, bake at 350 degrees for 15-20 minutes or until heated through. Preheat oven to 350 degrees F. Line baking sheet with foil and spray with non-stick cooking spray. Mix together bread crumbs and milk in a bowl and let sit for 2 minutes. In a medium bowl mix together ground chicken, spices and bread crumbs and milk mixture until well combined. Roll into 1 inch balls and place on prepared baking sheet.